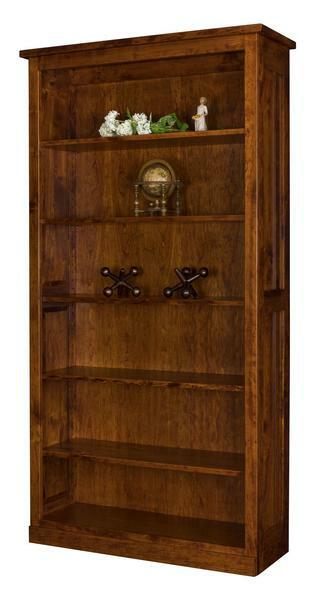 Our Amish Furniture Freemont Mission Bookcase is available in 7 different sizes. This bookcase also fits perfectly on our Freemont Mission Lateral File Cabinets as a topper. The Freemont Mission Office Furniture offers a solid Mission look for your office. Tops are 1” square Mission edge. All drawer slides are full extension and self closing. Choose from round wood knobs or Bungalow Hardware on drawers. The Freemont Mission Office Furniture is available in all wood species or in a combination of light and dark woods. Bring Mission style into your home or office with our Freemont Mission Office Furniture!